There are numerous references to Buzz Lightyear from Toy Story throughout the movie. 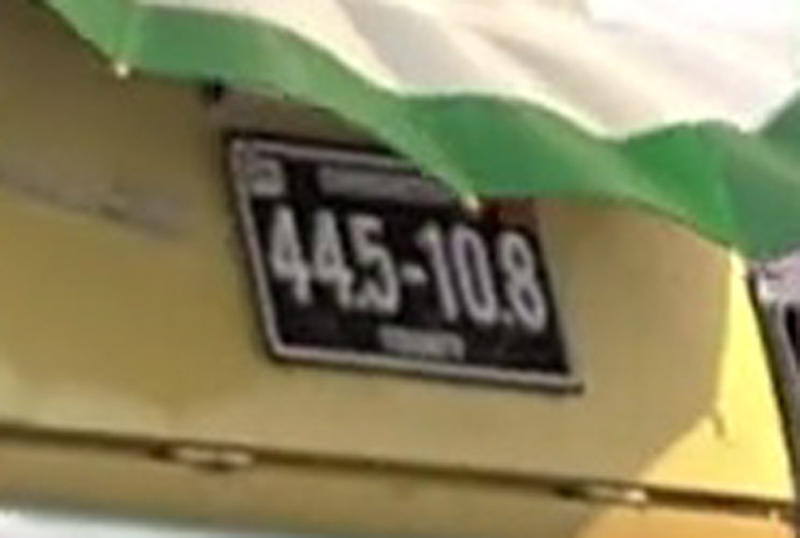 The real life GPS coordinates for Ferrari Headquarters can be seen as Luigi’s license plate number. 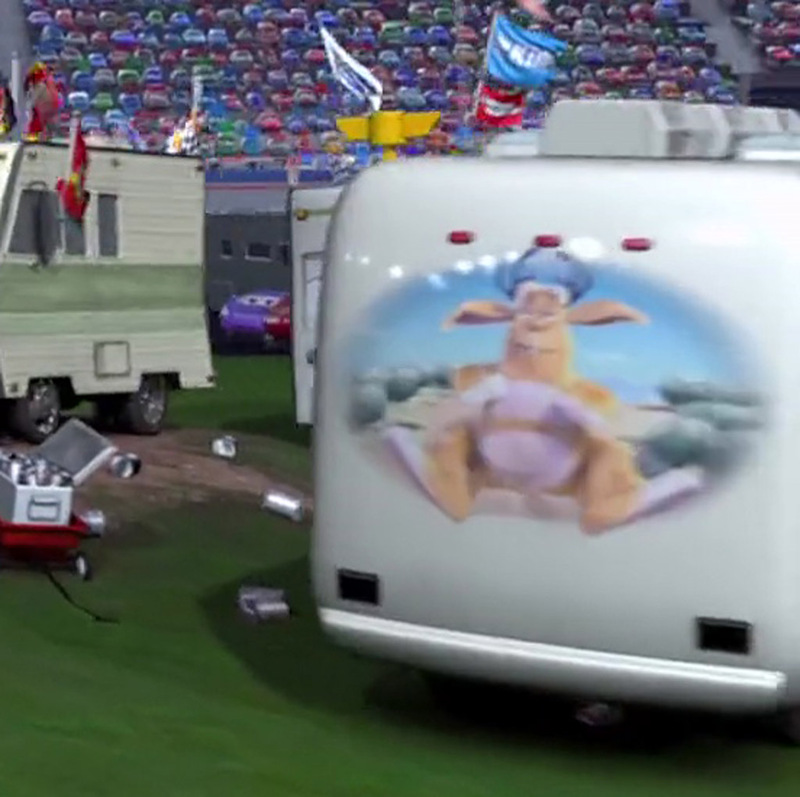 The jackalope from the Pixar short, “Boundin'” can be seen very briefly during the first race. 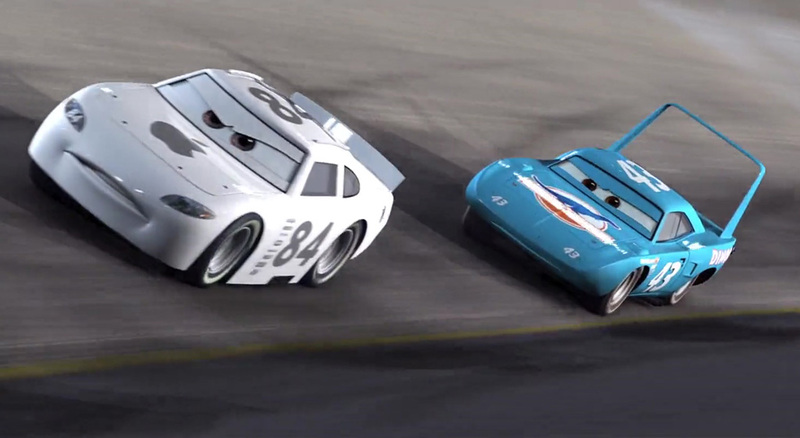 A car with the Apple logo appears very briefly during the first race. 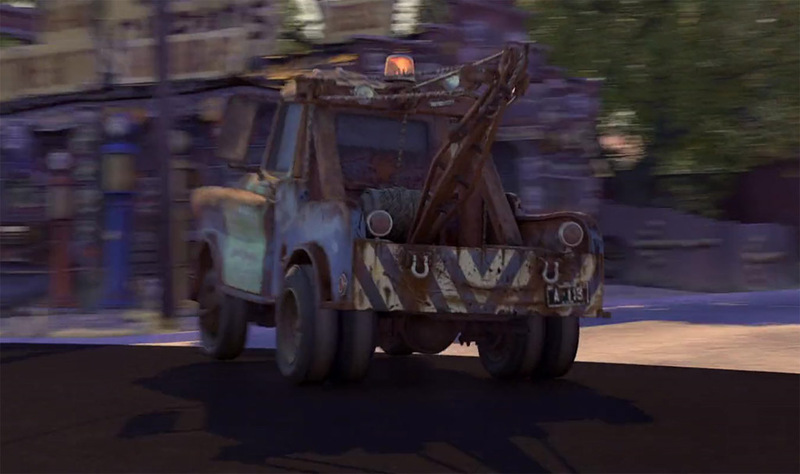 The famous A113 easter egg appears multiples times throughout the movie. 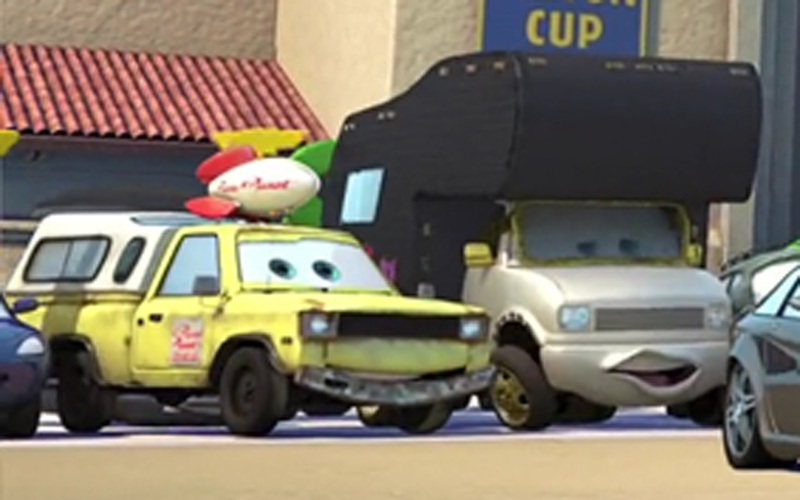 The famous Pizza Planet Truck from Toy Story can be seen at the Los Angeles International Speedway. A real, 3D version of the Pixar Animation Studios campus appears very briefly during the movie. During the Rustese commercial seen in the beginning of the movie, the rusty car is shown to be registered in EVILLE. This is short for Emeryville, the city where Pixar Studios in located. 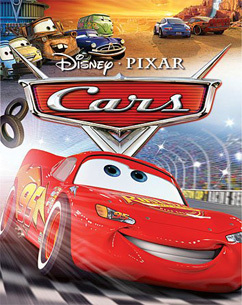 Lightening McQueen's number 95 is a reference to the year Pixar released it's first movie, Toy Story.